The mobile penetration in the urban and rural India has opened up massive opportunities for local businesses. The local small businesses operating in traditional ways have tremendous scope to enhance the potential of their sales operations, inventories, collection of payment and customer service. Automating these operations will systematically organize the entire functioning and drive efficiency, making them more competitive. One of the major problem areas of local businesses which warrant proper handling are the last mile transactions, as these businesses predominantly operate on recurring revenue model. They need to monitor and manage all revenue streams to bring in required transparency in the cash flow system. However, in the absence of a software solution to assess and address the exact pain points of hyperlocal transactions, the area remains under served. 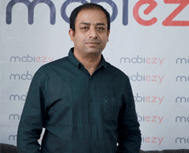 To address this void, Mobiezy, an IT solution provider came up with the idea to change the way hyperlocal businesses conducted their last mile transactions. Talking about the idea and conceptualization of a software product for the same, Raghavendra Ganiga, Founder and CEO of the company says, "We wanted our software to be a kiosk for instant registering the last mile transactions and provide an instant receipt and bring immediate transparency to business owners." This feature resulted in massive increase and savings in terms of cash collection efficiency of local small businesses, according to Raghavendra Ganiga. Being an IT solution provider for SMBs, Mobiezy goes beyond cash collection system and offers complete solution to bring overall efficiency to the local businesses. The company's software solution has several features that provide a sophisticated CRM software solution addressing the needs of cable TV operators, fitness centres, milk agencies and the likes. 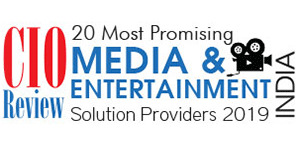 "Our solutions include targeting, acquisition, managing and supporting the entire lifecycle of recurring revenue businesses," says Raghavendra. Mobiezy aims to revolutionize local businesses by providing application that brings better account ability, control, increased cash flows, reduced credit period and streamlined operations. The company provides Web Apps and Mobile Apps that are seamless and provide a consistent user experience, hence bringing value to everyone in the ecosystem chain. "We wanted our software to be a kiosk for instant registering the last mile transactions and provide an instant receipt and bring immediate transparency to business owners"
The company strives to establish itself in thought leadership for the small businesses. It keeps bringing in awareness and education on the issues concerning change and adoption of state of the art technologies. The company has been successful in its endeavor of educating businesses on the importance of compliance with GST, the need to bring transparency in business while assuring them of data security. Along with this, local small businesses also want assurance for the software to be easy to use without a deep learning curve. Mobiezy imparts personal trainings and online trainings to coach its clients, and has received good response from them. To provide ease of use to the local business persons of diverse geographies, the company has incorporated their languages in its product. And in its continued endeavor to serve its clients, it strives to make its software compliant with many other languages as well.